When you start a new business it’s natural to be full of ideas and enthusiasm. After all, you know what you want to do and you’re keen to spread the good news to potential customers, suppliers, service providers and other business partners. You’ve arrived: you’ve done all the planning, honed your idea, and now you’re ready to go live. It’s also natural to want to keep costs to an absolute minimum at this stage, but there are some things you can’t afford to get wrong. Naming your business; designing a logo that will look good on your website and paperwork; creating an online presence; finding an accountant; registering your company – you’ll want to get these sorted before lift-off. Any limited company in the UK is required to have a business address where official mail from Companies House and HMRC can be received. Companies House maintains a register of all limited companies which is publicly available on its website, and this is why directors often decide not to use their home address as their registered business address. 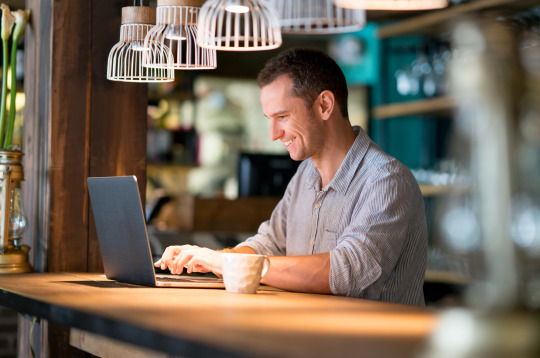 It’s not always affordable or convenient to rent business premises when you begin trading, however, so many start-ups choose to register their business at a mailbox or virtual office address. At Mail Boxes Etc. you can opt to use your business mailbox as your registered company address, so you can file your mailbox address with Companies House as both your company’s registered office and as your director’s service address. This keeps your private address off the public register, as well as giving your business a professional image with a distinctive high street location – we have over 150 to choose from. Even if you’re a consultant or sole trader, there’s no doubt that your professional address helps position you as someone who means business. Many start-ups are ‘virtual’ in the early days, with members of the team working from home or travelling around the country making contacts and doing deals. What matters to your customers, though, is that your business comes across as credible, established and trustworthy – and a professional address on your letterheads, business cards and website does just that. A business mailbox is actually a lot more than an address. It’s a real physical location, with mail and parcel receiving, and 24-hour access to your mailbox in most of our stores. We’ll let you know when something arrives for you, to save any wasted journeys, and you can always call or email us to check for mail too. With our virtual office solution, you can choose any of our business support services as and when you need them to suit the growth of your business. These include telephone answering, with a local number and 24-hour live answering that ensures you never miss another call. And with our mailroom services we can handle not just your incoming post but outgoing mail too – whether that’s collection and franking or managing your payroll notifications, invoicing and direct mail fulfilment. Or you can simply buy your Royal Mail postal services from us to avoid the queues. We are also specialists in courier and shipping services, offering the widest choice of leading carriers and a range of options for urgent business documents, parcels and packets – global or local. If you’re looking to export we’ll be delighted to help, and our certified packing services will ensure anything you send is protected for safe transit. Businesses of all sizes need print and copy. Our stores offer affordable graphic design, fast turnaround and expert attention to detail. We can create company logos and print your corporate stationery with your business mailbox address, and you can come to us to run off a few photocopies as well as for print jobs of all sizes. It’s good to know you can pop into your local MBE store for expert advice and friendly service – we’re running a small business too, so we understand the challenges you face and we’re here to help you make the most of all the opportunities.